A great historical novel, with lots of adventure. It is set in 18th century Scotland, around the time of the Appin Murder. I know nothing of the Scottish history of the period and yet understood the historical background pefectly. Stevenson (a Scot himself) treates the Scottish Highlanders sympathetically. I found the plot engaging and the descriptions of historical and geographical backgrounds interesting and colourful. Young David Balfour goes to the old ruined family house of Shaws to request help from his uncle Ebenezer. He is naive but resorceful and soon grasps that things are not as they should. However he is tricked by his uncle and sold to work in America. When the boat collides with a smaller one and Alan Breck is brought on board, he allies with this exiled Highland Chief against the crew. After a wreckage they reunite inland and begin an epic journey through the Highlands to help Alan escape persecution and David recover his heritage. I have read very little of Stevenson but have always liked him. After this delightful novel I will pass on to other of his works. Highly recommended. 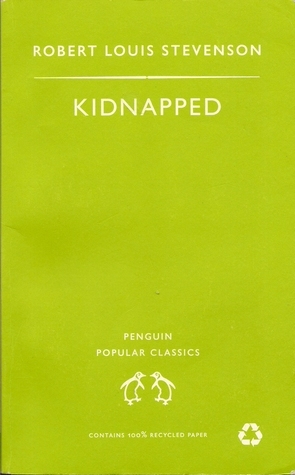 Sign into Goodreads to see if any of your friends have read Kidnapped.